Couples’ counseling: does it work? All relationships have their ups and downs but for protracted problems, a popular solution is seeking out therapy in the form of couples’ counseling. During therapy sessions, breakthroughs may be made, but how effective and long-lasting are these moments of progress? For decades, counselors were puzzled by the lack of lasting change in client relationships, despite the progress seemingly made during sessions. In recent years, however, research has shed some light on why traditional marriage counseling does not always garner the desired results indefinitely. The answer is a combination of habitual states of mind, emotional processing and a longstanding non-scientific approach; traditional couples’ counseling often fails to take into account the physiological and psychological processes that come into play once a session has finished. Armed with the findings of recent years, we can explore how these elements have a bearing on the efficacy of couples’ counseling and innovate new methods and techniques to create more lasting change. Neuroscience has opened up the concept of different brain states that we operate from – states that have become ingrained in us over years and years, which we revert back to in the absence of true change. So, while clients may learn something new, or make positive breakthroughs during couples’ counseling, those changes may be short-lived as the brain regresses back into a habitual, familiar state on a largely subconscious level. Scientists have identified these brain states as ‘executive operating systems’, governing how we think, feel and behave, often without any effort on our part; these brain states take over at different times, making it difficult to think and behave differently from how we would regularly act when operating in these various modes. Essentially, even though we may want to make changes in our relationships, depending on the brain state we’re operating in, we quite simply may not be in the mood to put what we have learned into practice. In terms of how information travels and is processed by the brain, emotions have been found to have a dominantly influential role. The emotional centers of the brain can process the information and take control, influencing behavior. When a threat is detected and distress signals are emitted, fight or flight hormones can be released, distracting us from processing new information in a rational way and appealing instead to our emotions. The results can mean we spend time brooding, feeling angry, confused or threatened in some way. 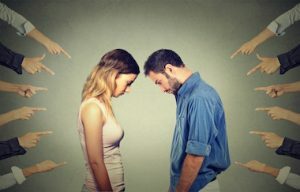 The knock-on effect of this sort of emotional processing is that less of the brain is being used for logical thinking while we’re under the influence of emotion, and the neural response can cause us to lash out, offend or upset our partners as a result, developing negative emotional habits that hamper progress. The question of couples’ counseling efficacy is not so much one of whether this type of therapy works, it has been proven to be effective in various studies – although statistics vary; the problem lies in making it effective in different ways to achieve the long-lasting results that couples desire. In order to bring about true change, it isn’t always sufficient to employ traditional talking therapy – the right sort of therapist will have various methods at their disposal to create a broad and all-encompassing method of therapy that is designed to alter patterns of thinking and behavior right at the root. Often, the best techniques require delving much deeper into the psyche in an attempt to rewire the brain and recognize how emotions and habitual states of being can hamper progress, and this sort of solution requires just the right combination of science and psychology. 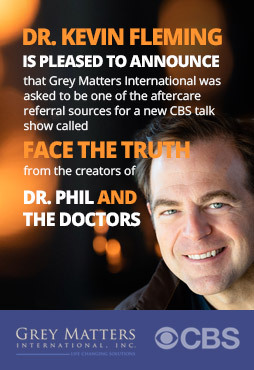 Grey Matters International offers an innovative service that does just that, tailoring couples’ goals for change to each partnership and its unique dynamics. With an expert knowledge of how the brain works and why, as well as the role emotions play, it’s possible to inspire sustainable behavioral change and rebuild your relationship. Get in touch with us today to find out more.